I build one of a kind natural birch art for your home. 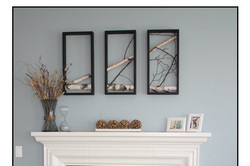 I specialize in my original design of a Birch Branch Triptych. Have a look at my ETSY shop for other Birch Art I do, you can also find a link there to my Facebook page.